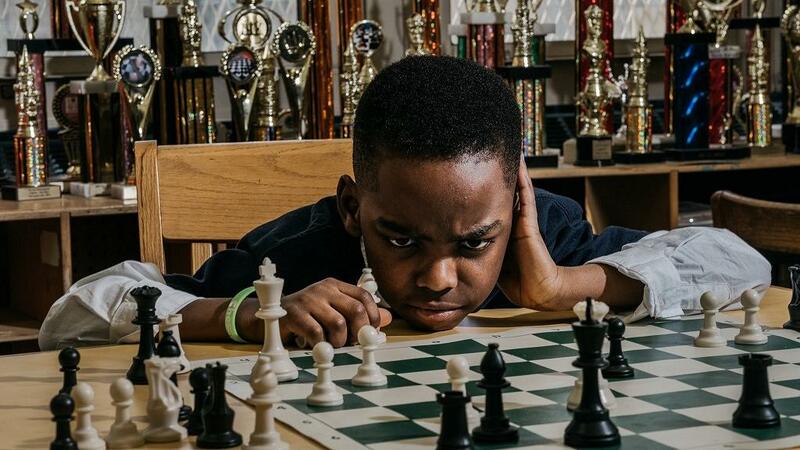 NAIJAFEED: Bill Clinton praises 8-year old Nigerian chess prodigy seeking refugee status in the U.S.
Bill Clinton praises 8-year old Nigerian chess prodigy seeking refugee status in the U.S.
Tani, an eight-year-old Nigerian chess champion in New York, may be living in the United States as an immigrant but he could be meeting a former American president soon. When the story of his witty exploits was shared on Twitter, the 42nd US president Bill Clinton reacted to the fact Tani had defied all odds to win his category at the New York State chess championship. Here is a youngster who was introduced to the game a little over a year ago. “Refugees enrich our nation and talent is universal, even if opportunity is not,” the president wrote. “This story made me smile. Tanitoluwa, you exemplify a winning spirit – in chess and in life. And kudos to your hardworking parents. You all should stop by my office in Harlem; I’d love to meet you,” he added. Incidentally, Tani’s three-hour weekly chess practice is in Harlem whiles he practices more often on his father’s laptop. Full name, Tanitoluwa Adewumi, the chess whiz kid, has been widely covered by international media and local portals back home. His story was first broken by a New York Times, NYT, columnist, Nicolas Kristof. Tani, his brother and mother currently live in a New York City homeless shelter as immigrants awaiting refugee status. Their next hearing is slated for later this year. The Adewumis – whose name denote they hail from Nigeria’s southwest according to reports arrived in the United States in 2017 having escaped Boko Haram insurgency – meaning, they must have been living in the northeast, be it Borno, Adamawa or Yobe states. Mr Adewumi, works as a licensed real estate salesman and doubles as an Uber driver as his wife and sons await asylum request hearing scheduled for August. The NYT piece that set Tani’s story on a media blitz was achieved after an interview with the family at their shelter in Manhattan. “I want to be the young grandmaster,” Tani told Kristof. Whiles his biggest achievement yet is as New York State Primary Chess Champion (Top Players K – 3rd Grade), he has won a handful of trophies playing the game. His mother Oluwatoyin Adewumi was a pillar in his love for chess having backed him in the early stages when he expressed interest in a game that was entirely new to him. Her appeal to Tani’s programme patron had his fees waived. A GoFundMetext page set up by NYT readers has far exceeded the target set. As at midday March 20 (GMT), 3,588 contributors had raised $188,253 despite the initial goal being $50,000.